Let’s make this as clear as possible. More land to store and clean water south of Lake Okeechobee equals less lake water dumped in the St. Lucie and Caloosahatchee rivers, two of Florida’s most valuable estuaries. That’s the message we need Gov. Rick Scott and Florida lawmakers to keep in mind when the legislative session begins Tuesday in Tallahassee. The South Florida Water Management District is within a week of presenting lawmakers with its options for reservoir and water treatment areas, as prescribed in Senate Bill 10. 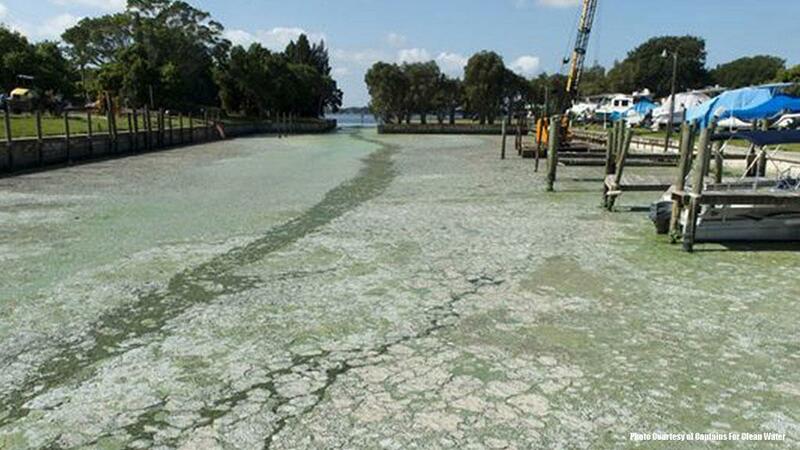 Lawmakers and Scott approved the bill last spring in response to the ecological crisis caused by the discharges (including the stomach-turning toxic algae blooms we witnessed in 2016). The problem, as TCPalm’s Editorial Board articulated in its priorities for the legislative session, is the district is focusing almost solely on land already controlled by the state. Senate Bill 10 allows the state to acquire more land south of Lake O by buying it from willing sellers or terminating leases with farmers on state-owned land in the Everglades Agricultural Area. That has not happened on any large scale. It needs to. As stated above, more land means less discharges. Florida Senate President Joe Negron confirmed that fact Thursday evening during a TCPalm pop-up event in Stuart. TCPalm held a pop-up community conversation with Florida State Senate President Joe Negron and local river advocates Thursday, Jan. 4, 2018, at Ground Floor Farm in Stuart. Estimated at $1.6 billion, the reservoir project will not be cheap. That’s all the more reason to make sure we get it right. The water management district estimates its configurations of the project, when combined with other projects already in the works, would reduce annual average discharges from Lake O to the St. Lucie and Caloosahatchee rivers by about 60 percent. In particularly heavy discharge years — such as the hurricane years of 2002 to 2005 — the flow would be reduced by about 45 percent, they said. That still is a lot of water coming our way. Last year, 134 billion gallons of Lake O water were discharged to the St. Lucie River. That’s enough to cover the entire city of Stuart with 71½ feet of water, according to TCPalm environmental reporter Tyler Treadway’s calculations. In 2016, it was almost double that — a whopping 237 billion gallons. Cutting those discharges in half still looks pretty awful for the St. Lucie River. Lawmakers would be wise to examine an alternative plan being advocated by the Everglades Foundation that could clean more water. This year is something of a swan song for Negron. He will wrap up his two-year term as Senate president and leave office because of term limits. The Republican from Stuart has been a solid advocate for the river. This year, we need him to be bolder than ever. Let Negron and the governor know if you believe the Everglades Agricultural Area reservoir should be built on a larger footprint so it does more to reduce discharges to the St. Lucie and Caloosahatchee rivers.